Lambda Fund IV will be making an investment in PINGMD’s, New York City-based mobile communications healthcare solutions company, three-million series B-round of funding. Lambda Fund has invested in companies such as SeniorBridge (acquired by Humana), AthenaHealth (ATHN), Medidata Solutions (MDSO), and Health Dialog (acquired by BUPA). “I am excited about PINGMD's transformational approach to intelligent communications in healthcare,” Anthony Lamport, managing partner, Lambda Fund said. "Lambda brings a depth of healthcare services experience and technology insight that will help propel PINGMD forward in the growing sea change of healthcare delivery," said chief executive officer, PINGMD, Dr. Gopal K. Chopra. 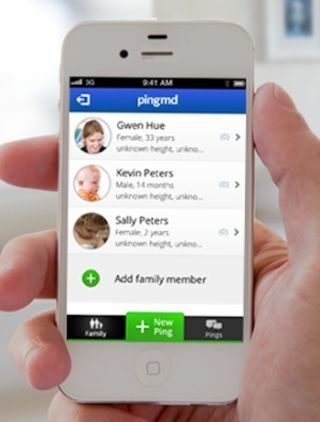 PINGMD is a HIPAA-compliant, secure, and free-of-charge app-based service designed to restore relationships between patients and their healthcare providers. It is helping to pave the way towards a new era of patient-centric healthcare with improved access and better overall care for patients by providing case collaboration, continuity of care, and a permanent record for digital health record keeping. Given the growing trend of doctors spending less than 10 minutes with each of their patients, founders Gopal Chopra M.D. and Manju Chopra M.D. recognized that technology could improve the escalating healthcare issues including rising costs, slow delivery of care, patient dissatisfaction, and physician fatigue.